No matter how many years have gone by dinosaurs are something that everybody remains interested. No matter how young or old you are, dinosaurs are always fascinating to hear about. One of the most amazing things about these creatures is their complex names. In looking at these names they are not always the easiest to pronounce, but as a kid you could name every single dinosaur there was without any kind of hesitation. Adults have always been thunderstruck by how easily these names roll of the tongues of children. With how fascinating dinosaurs to all of us, it makes sense why every new discovery is publicized in the news. Even grownups can’t get enough of these creatures that once roamed the earth. And while discoveries are becoming fewer, that simply adds to the excitement when new discoveries are made. In early April 2015, construction workers in China’s Guangong province were working on a project to update a road when they made a massive discovery. 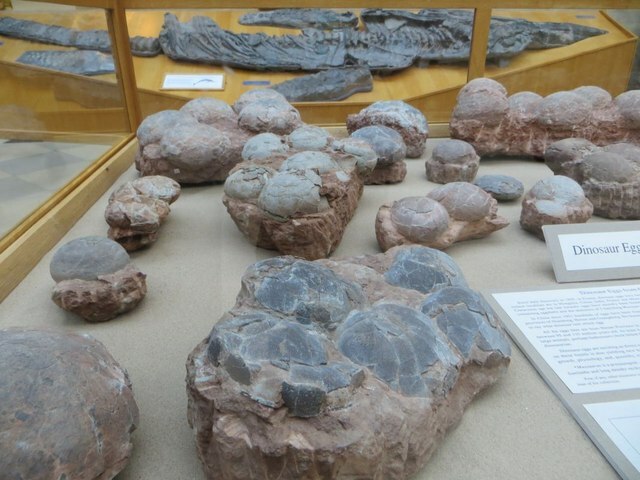 What they discovered were 43 fossilized dinosaur eggs, of which 19 of them were still perfectly intact. This discovery shouldn’t be too surprising though since Heyuan, a city in the Guangdong providence, actual holds the world record for the largest dinosaur egg collection, which is currently at 10,008 eggs. Nobody knows for sure what type of eggs they are, but what they do know is that they are rather large in size. The largest one is more than 5 inches in diameter.